From Tokyo, JAPAN, Yoko Utsumi has been a stronghold in the Japanese music scence since the early 80’s. 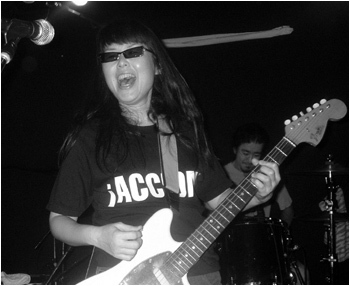 Yes, this is Japanese rock in every sway, shape and form, but does it sound like PUFFY? NO! Definitely more GUITAR WOLF, 5 6 7 8s, and SHONEN KNIFE influenced.